"Mahoney’s Last Stand" may not be a lost classic, but it’s undoubtedly enjoyable and a minor delight to have back in print. The Real Gone reissue label of this obscure soundtrack says it all. The backstory goes that this was recorded — at least partially — when Rod Stewart failed to show up for various 1972 Faces’ sessions. The rest of that band, along with some high profile players such as horn men Bobby Keys and Jim Price, Pete Townshend, and Family’s (later Blind Faith’s) Rick Grech among others, recorded tracks which were spliced into the titular film. The movie was never given a proper theatrical release, but the soundtrack was finally made available on vinyl in an inauspicious 1976 release that quickly went out of print. It deserved a better fate. While the music, much of it instrumental reflecting the nonchalant sessions, isn’t always compelling, it’s consistently listenable. Given the iffy circumstances of its creation, these (mostly) jams catch fire more often than not. And the sheer quality of the names involved, most of which were arguably at the height of their powers, make even the most unfocused moments worth hearing. Veteran producer Glyn Johns likely edited the music into shorter spurts, keeping the best bits so even the more directionless improvisations such as “Car Radio” blast out with a scrappy yet inviting energy. Acoustic flashes such as “Hay Tumble” featuring Grech’s fiddle, along with “Woody’s Thing” and the bluesy country honk of “Rooster’s Funeral” spotlighting Wood’s slide work capture a rambunctious vitality comparable to the first four Rod Stewart albums and the Faces’ at their peak. Some selections such as the unpromisingly named “Title One” sound like background music to a typical 70’s TV cop show, albeit above average for that scenario. The swampy slow blues of “Mona the Blues,” one of the vocals, which contains biting slide guitar from Wood is a lost gem. Along with Ronnie Lane’s heartbreaking, lovely roots folk/pop “Just for a Moment” — also included in an instrumental version — they justify the price of this labor-of-love remastered reissue. Freshly penned liner notes fill in the blanks about both the obscure movie and its music, but get out the magnifying glass to read the individual track credits, reprinted in frustratingly tiny type. Those familiar with Ronnie Lane and Pete Townshend’s far superior Rough Mix or the instrumental “Apple Jam” sessions tacked onto George Harrison’s All Things Must Pass will hear and appreciate similarities in this disc’s freewheeling pieces. 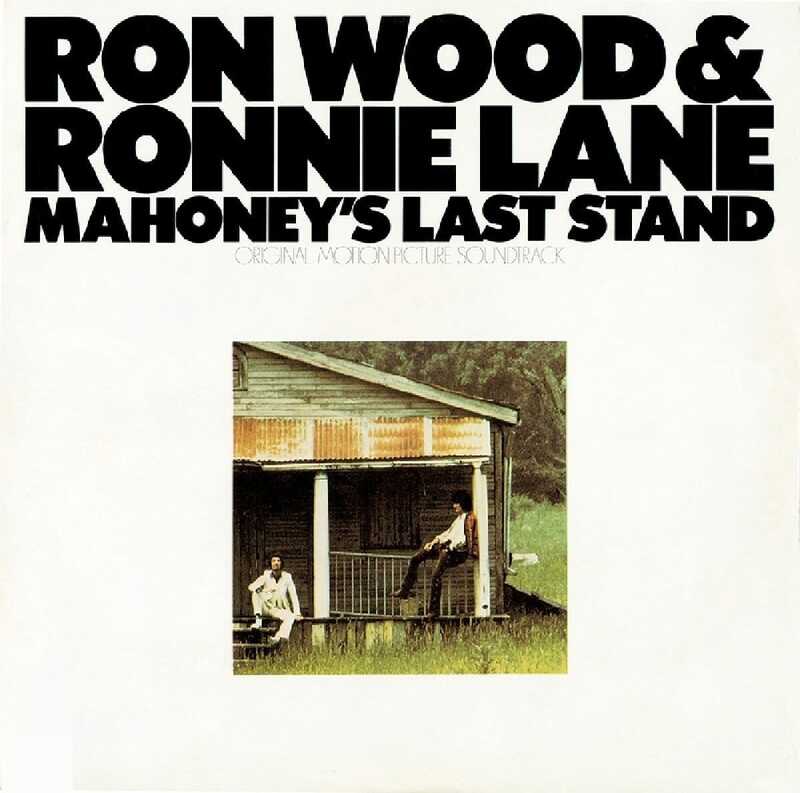 Mahoney’s Last Stand may not be a lost classic, but for fans inclined towards the music of Wood, Lane, Stewart and the Faces during these years, it’s undoubtedly enjoyable and a minor delight to have back in print.